Gray or RagzDoll-Female-15-♈-Pansexual-Warriors, Anime, Zodiac, Vocaloid, Manga, Cuphead, lots of other stuff-Working on my serieses. I'm just an awkward/depressed idiot that draws crap. 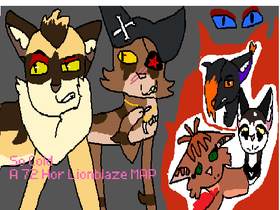 Epoch ~ Tigerstar Family Tree PMV MAP Parts! Q&A!! Ask me your questions! Where on the web am I?